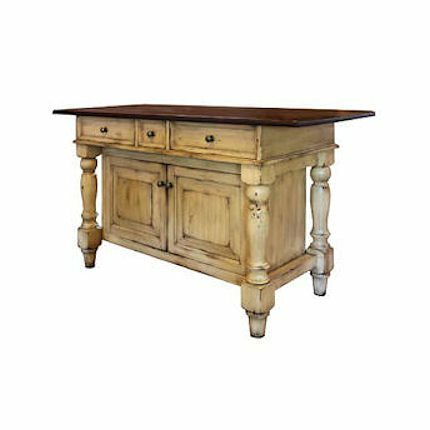 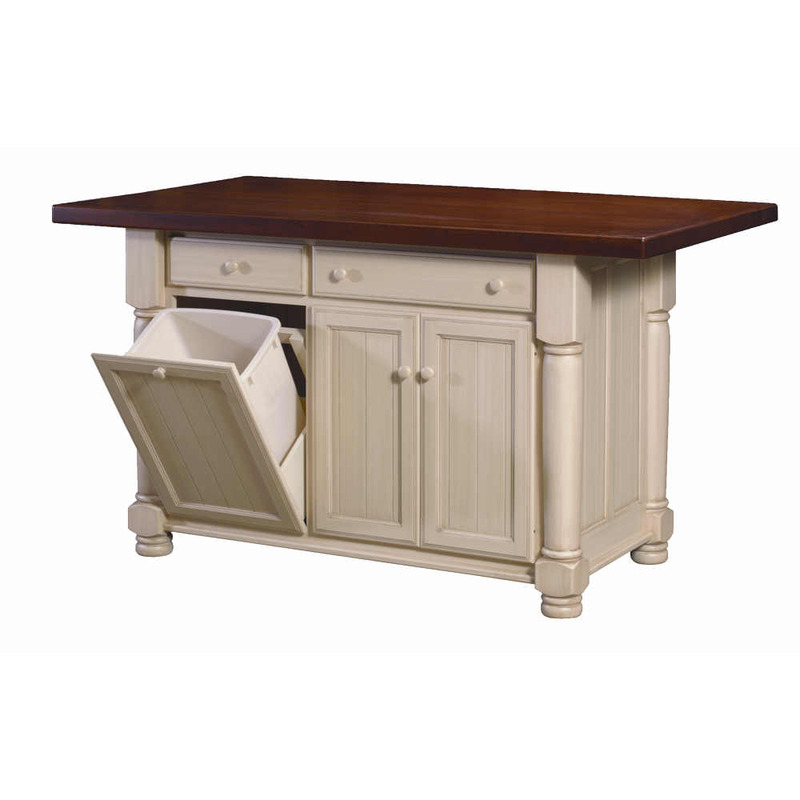 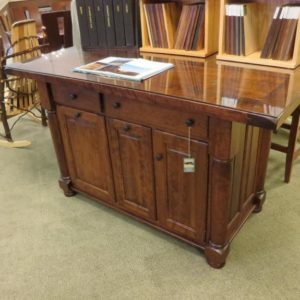 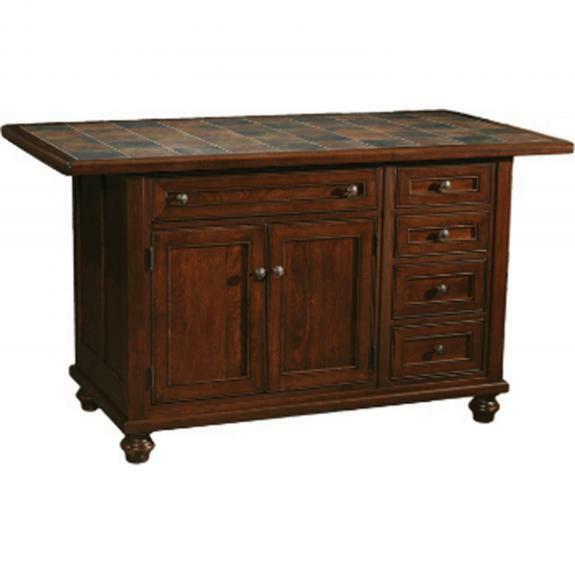 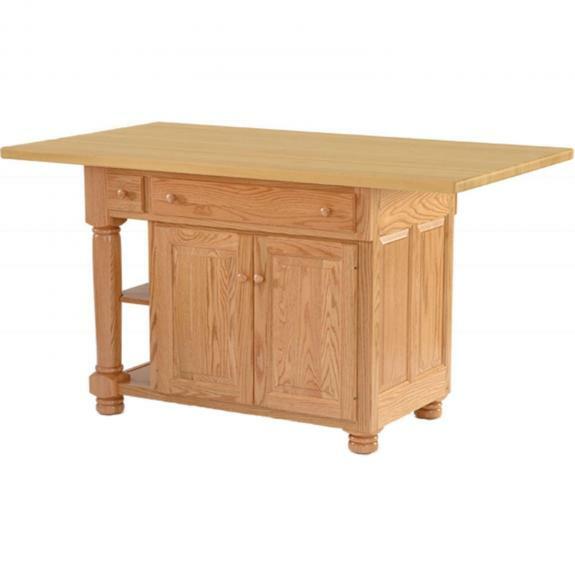 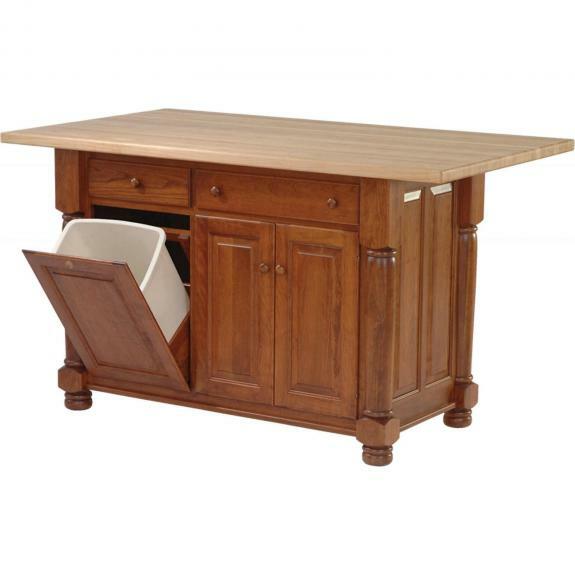 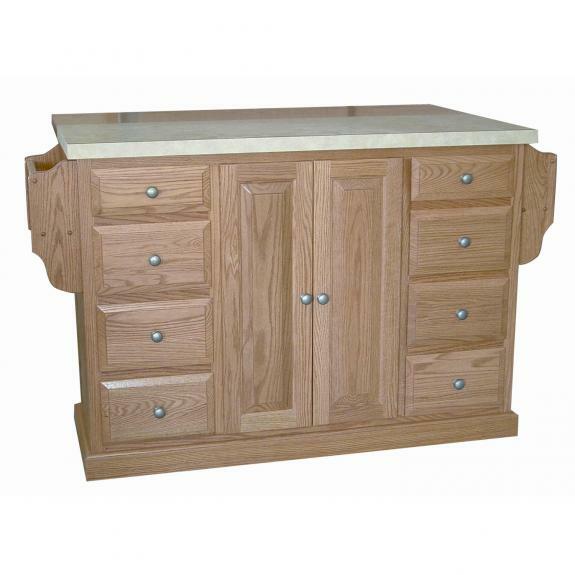 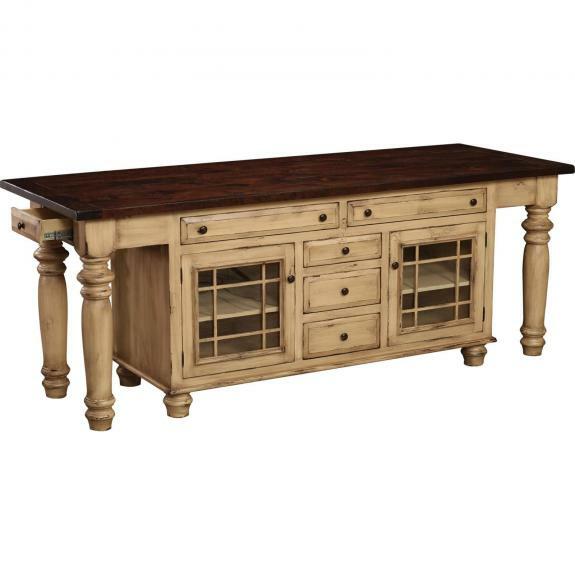 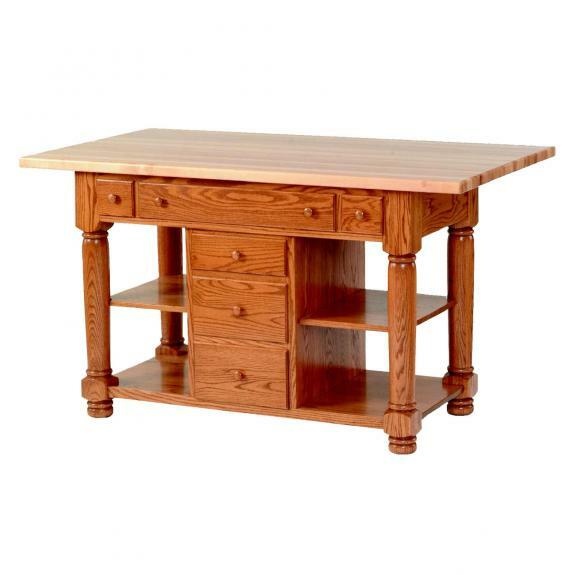 Our traditional kitchen islands and serving carts are made of solid oak, cherry, hickory, quartersawn white oak, and brown maple. 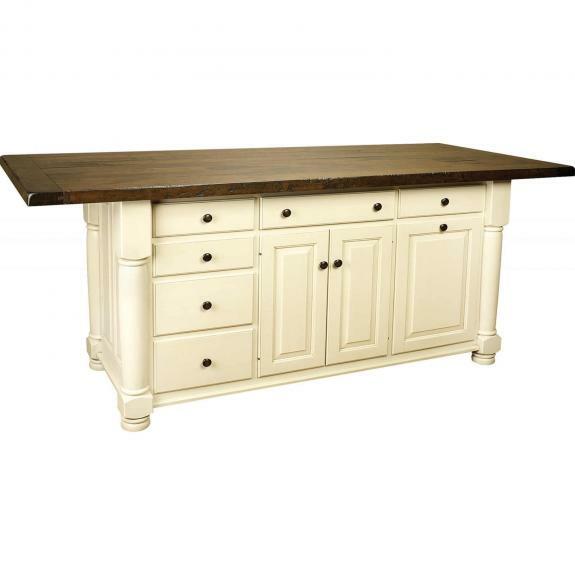 We have painted and distressed finishes available! 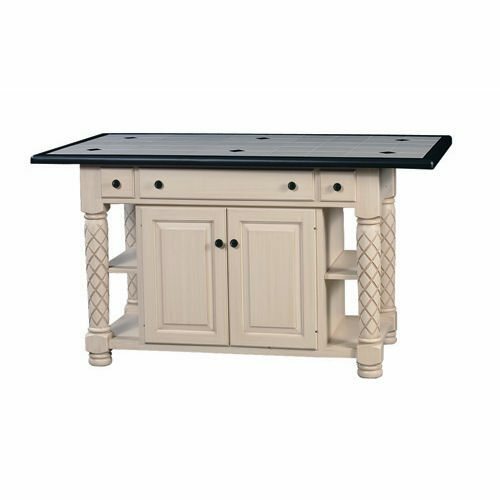 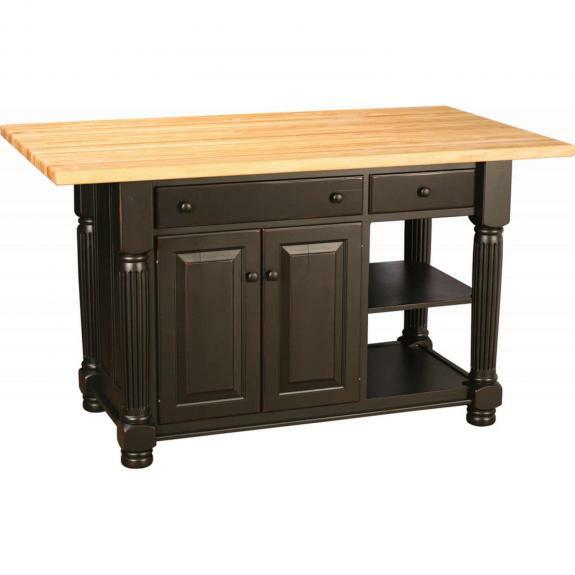 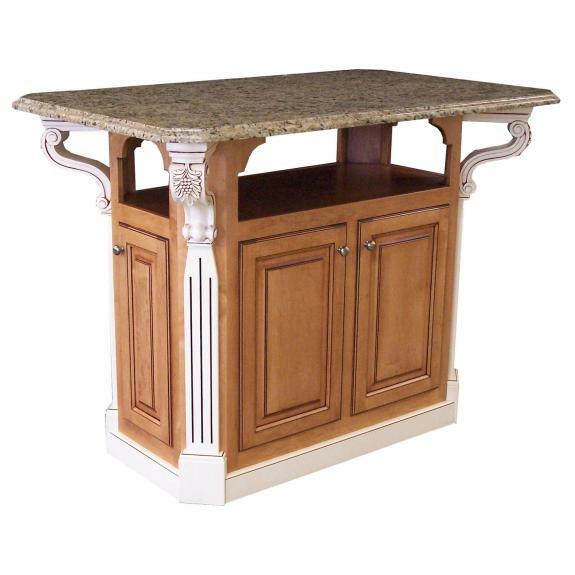 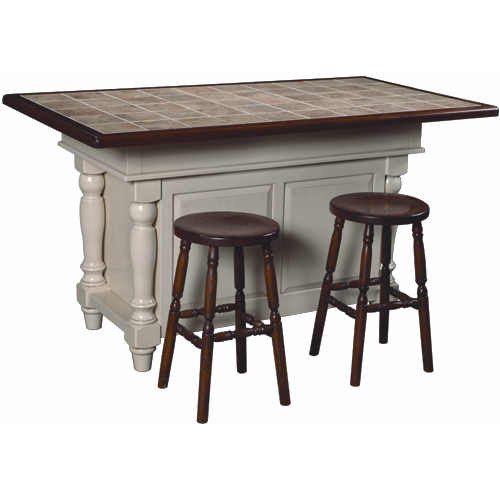 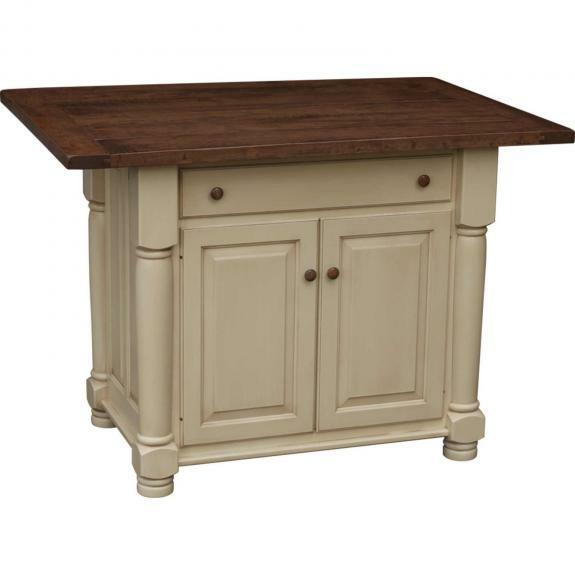 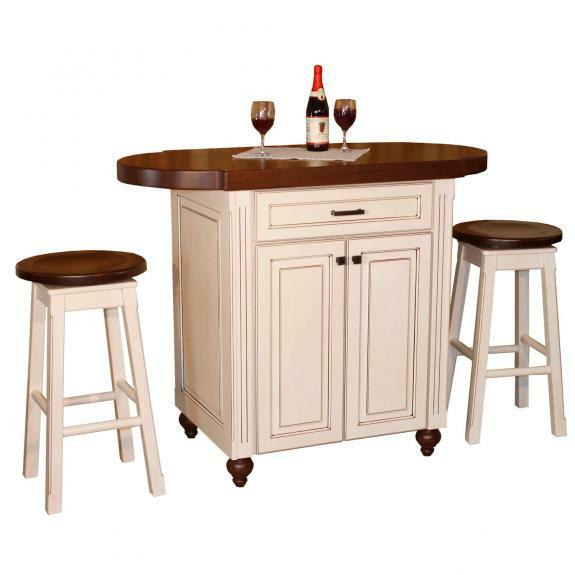 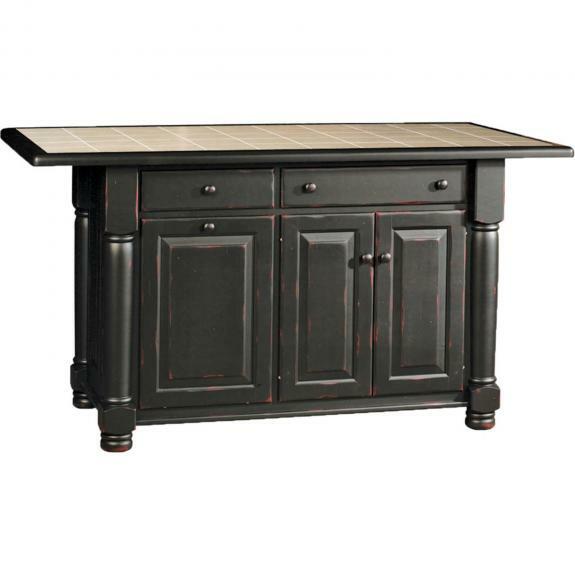 Kitchen islands are available with tile, corian, butcher block and maple tops and choices of leg styles. 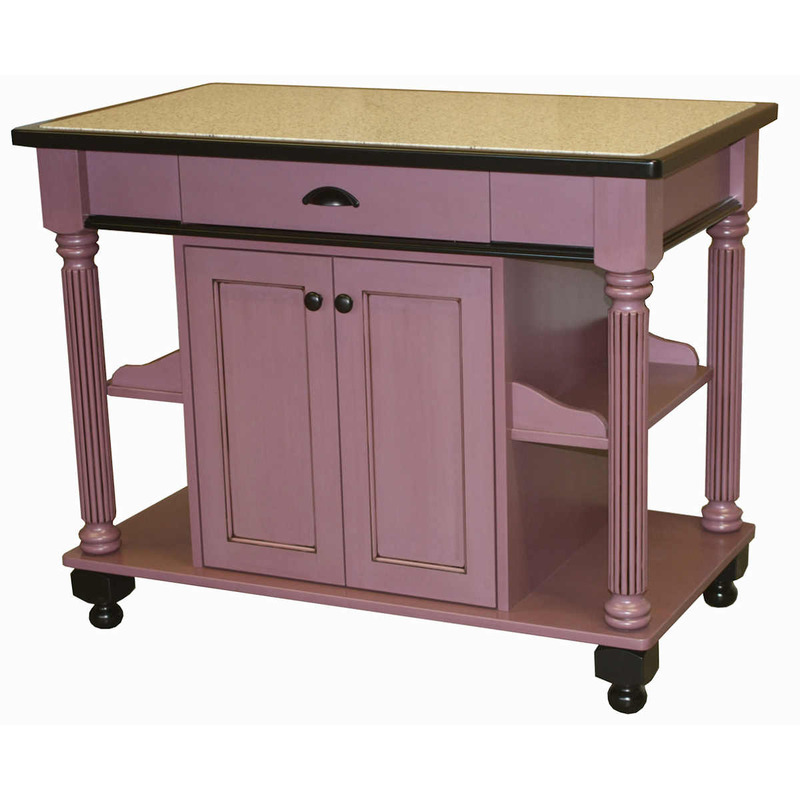 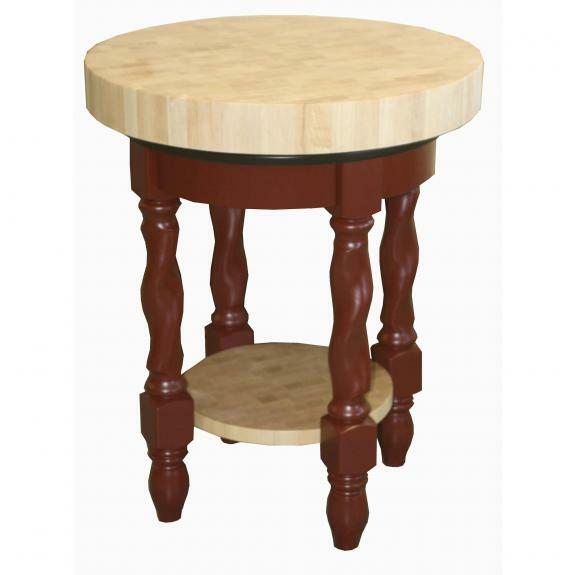 They are also available with casters.